Archive » Soyalism. Survival kit for the modern world. 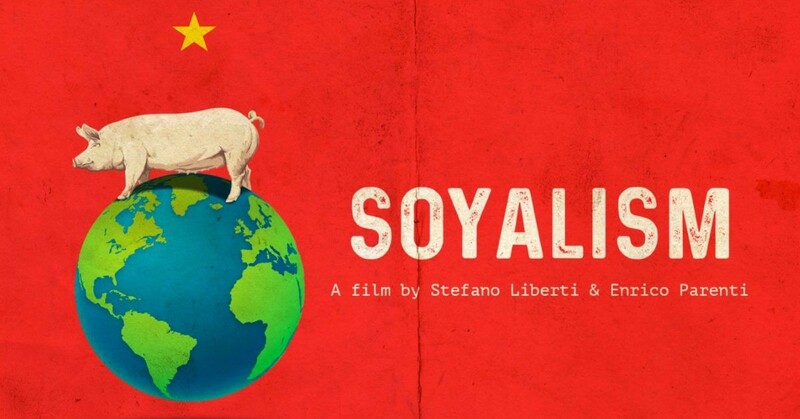 The new documentary by Stefano Liberti and Enrico Parenti illustrates how intensive pig farming and soybean cultivation are threatening local agricultural industries, our health and that of our planet too, from the USA to Brazil. It rains a lot in Soyalism, the new documentary by Stefano Liberti and Enrico Parenti,and much of it falls on an unfair and unsustainable food production system. This documentary examines the whole pork industry – from farming to wastewater disposal systems and the soybean monocultures destined to be fodder – through a series of interviews of researchers, activists, and farmers, and the timely use of animations to illustrate more complex issues. The consequences of an increasingly industrial and centralized system are exposed throughout a long journey taking viewers from the USA to China and back to Latin America, to finally land in Africa. The film portrays the first victims of this system as local populations, who are almost always defenseless and unable to rise up. No matter where they are. Everything starts off in North Carolina, the state that, alongside Iowa, is home to the greatest number of pig farms in the United States and a total of around 8-10 million pigs. In the space of a few years, small farms that were once scattered all around the state’s rural areas, were replaced by intensive breeding farms, each housing around 10-20,000 heads of livestock. “The biggest problem here is that animals are kept in overcrowded group-pens, as if they were living in a sort of city” , explains Rick Dove from the NGO Waterkeeper Alliance. These breeding farms generally produce huge amounts of wastewater, that eventually flow out into fields or waterways, making air unbreathable and polluting the groundwater in the fragile coastal areas of North Carolina. Big corporations have gradually purchased all of these farms, building up a vertical integration system. One single parent company owns every step on the ladder: sow farms, feed manufacturing plants, the vehicles for transporting animals, and finally the slaughterhouses where pigs are slaughtered and processed. Not long ago, the undisputed kings of the market were massive corporations like Smithfield and Murphy Family Farms. These are now owned by the WH Group, the new name of the formerly Chinese state-owned Shuanghui, a now private company that rakes in a cool 200 million dollars profit each quarter. Since China’s GDP started to skyrocket in the mid-1990s, the Chinese government has increased the production and availability of food for the country’s population. High calorie foods were given preference, and meat consumption rose considerably starting in 2001 -2002. Pork consumption and production figures have since risen and risen, so much so that today, 47% of the world’s pigs are reared in China. “The Chinese have been approaching a western diet for years now” explains Dan Basse, a Chicago-based trader and market analyst, who points to this trend as the reason for which the Chinese government and Chinese companies are pushing to take total control of the pig population. First, to secure the resources (arable land in China is hard to come by these days) and then, by taking over American corporations, to learn how to produce efficiently on so little land. “More than just the ownership of the companies, the very model of pork production has been exported to China”, concludes Janet Larsen, a writer and researcher. “Intensive animal husbandry occupies a third of all arable land worldwide”, explains Tony Weis, author of The Ecological Hoofprint, “and often, high value monoculture crops like corn or soy are grown around the intensive breeding farms, making the whole area look like an island”. As with the pork itself, their feed follows the same business model. Five companies control 70% of the sector in the USA. These five companies all plant the same seeds, produce the same chemicals, and adopt the same marketing strategies and price-setting mechanisms. This production system is extremely standardized even though it is being implemented in highly diversified social environments. 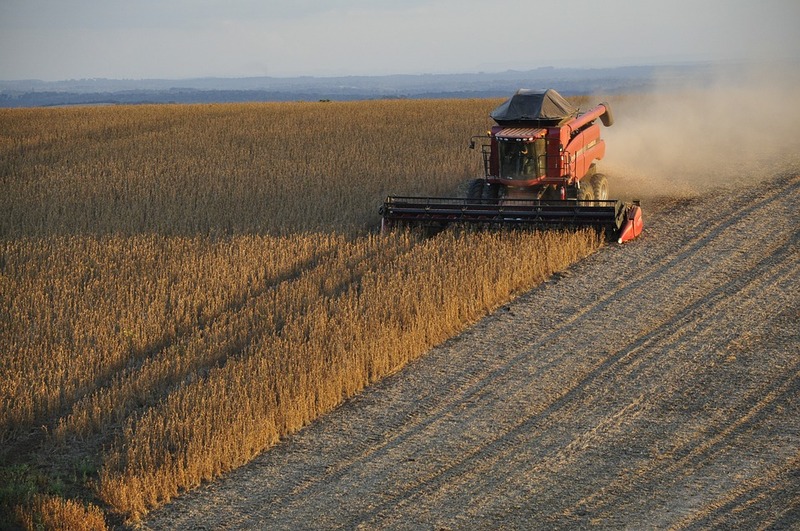 In Brazil, the world’s largest soybean producer, small-scale local farmers are forced to sell their lands to make way for the ever–growing crop plantations. Hectares of the Amazon rainforest are being cleared, and fertilizers and pesticides are sprayed wantonly to ensure crop productivity. “In Brazil, and throughout the southern hemisphere, soy is at the forefront of this new model that goes under the name of agri-business. We are dealing with a standardized item here, which is easy to produce on a large scale. Just five companies have control over this market and can speculate on prices and manipulate supply and demand. An agronomic crime has been committed” claims Joao Pedro Stedile, leader of the Sem Terra movement. “We are excluded from every market, our products are valueless. You first plant corn, then it’s harvest time and eventually you don’t know where to sell it. Markets are only open to big producers. Small farmers cannot grow soy” a small-scale Brazilian farmer confirms. Where does all this soybean go to? China and United States. The same goes in Africa, in Mozambique, where the local government, via the Pro-Savana project, tried to deprive farmers of their lands to sell them to Brazilian investors. Soybean, cotton and corn are mainly grown for the Chinese market. Once again. What if the Chinese ended up having Americans food habits? What would happen to the Amazon rainforest and to our climate? “Food production cannot be doubled, we need alternative production methods and our diet must be considered as a fundamental tool to reconfigure the agricultural system” is the parting message that this documentary offers for each one of us, through the words of Tony Weis. Soyalism is on tour all around the world.